Ah, sloppy joe. The cafeteria’s finest delicacy, next to crispitos and rectangular pizza. Seriously, have you ever had a lunchroom crispito? It’s a deep-fried burrito covered in cheese sauce. They are now banned from lunchrooms because they were the primary cause of the obesity epidemic…but dang were they good. Anyways, the point is that the sloppy joe is a classic, and you’d probably be hard pressed to find someone who didn’t like them (unless you know someone who has an aversion to messy, drippy foods…or delicious flavor). In my lifetime, sloppy joe was basically synonymous with Manwich. You know, that can of sauce that you just add ground beef to? I love some Manwich sloppy joes, but I wanted to find a recipe that I could make at home. The sauce just didn’t seem like it would be that difficult. 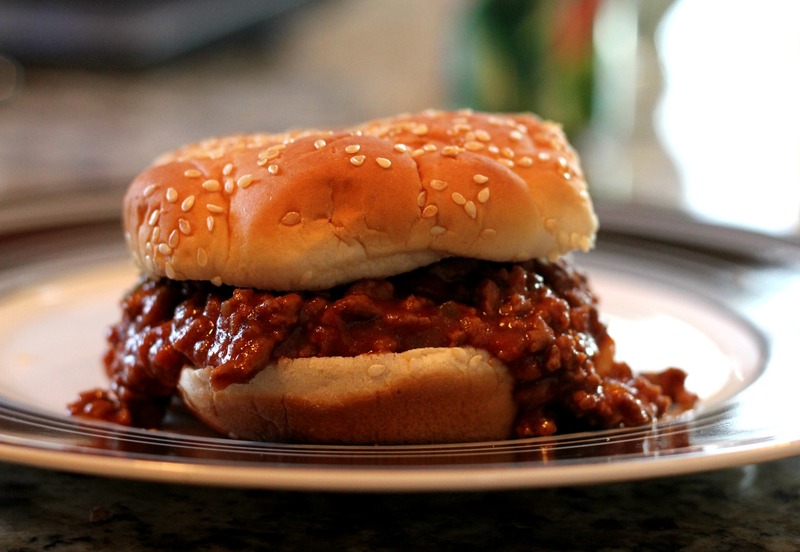 A while back, I tried a recipe for crock pot sloppy joes…and they were terrible. The meat was all chewy and the sauce wasn’t sloppy at all…meaning the sauce was almost nonexistent. That experience left me a little wary of the homemade sloppy joe experience. However, I came across this particular recipe and thought I’d give it a shot. Well folks, it was a success. This recipe is super simple, quick, and tastes just as good (or better) than the Manwich can. And one thing this recipe has that Manwich doesn’t? Weight Watchers approval. Boom. In a medium skillet, brown beef until no longer pink; drain. Stir in soup, salsa, and brown sugar. Cover and simmer 10 min or until heated through. This looks really good and reminds me that I haven’t had sloppy joe’s in such a long time. I love the salsa twist! Ya know I thought the salsa would give it a spicy kick or maybe a Mexican flavor But really it just blended in nicely and tasted like a regular sloppy joe I’m sure you could put in super spicy salsa to get it kickin’ though!